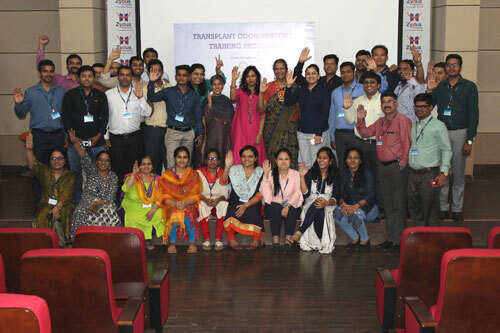 Under the aegis of National Organ & Tissue Transplant Organisation (NOTTO), Directorate General of Health Services, Ministry of Health and Family Welfare, Government of India and ROTTO-SOTTO Mumbai, MOHAN Foundation conducted a one-week Transplant Coordinators’ Training Programme from 25th to 29th September 2018 at Zydus Hospitals, Ahmedabad. There were 33 participants from Gujarat, Maharashtra, Madhya Pradesh, Karnataka, Kerala, Rajasthan, Assam and Manipur. 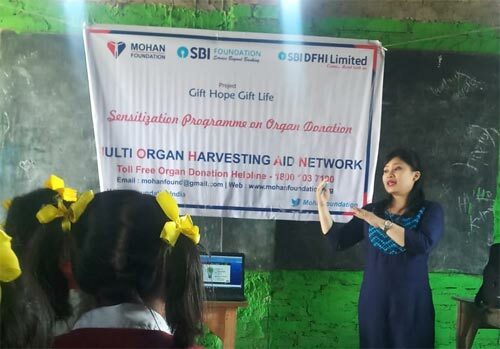 This was the 56th training programme conducted by MOHAN Foundation and the 22nd in partnership with NOTTO. 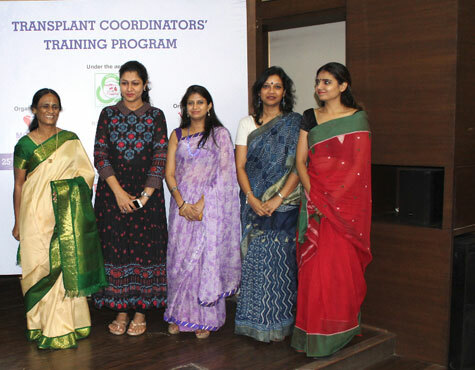 The training programme was supported by the Tata Trusts. 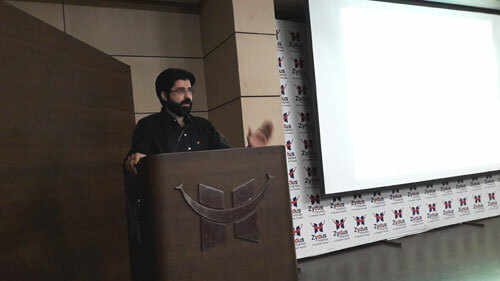 At the inauguration, Mr. Pankaj Patel, Founder of Zydus Hospitals, spoke about the importance of values and ethics in the work that transplant coordinators undertake. 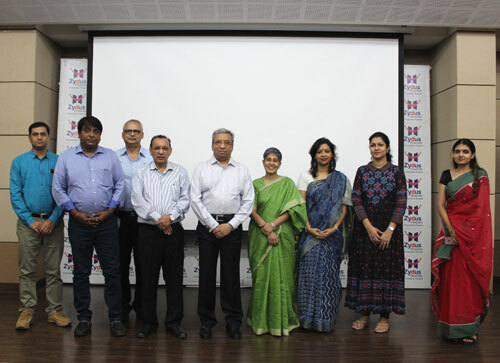 Dr. M. M. Prabhakar, Additional Director of Medical Education, Government of Gujarat, Dr. Sajan Nair, CEO, Zydus Hospitals and Dr. Biswarup Pal, Anaesthesiologist - Liver Transplant, Zydus Hospitals, and Ms. Bhavna Chhabaria, CEO, Shatayu were also present. After the session on body donation, one of the participants Mr. Praveen M. from Kozhikode, Kerala shared that his uncle, Mr. K. P. Sreenarayanan, 80 years had pledged to donate his body to Amrita Institute of Medical Sciences, Kochi. When he passed away on 22nd September 2017 his body was donated. Everyone applauded Mr. Praveen’s uncle for taking this pledge and his family for following through on his wish. 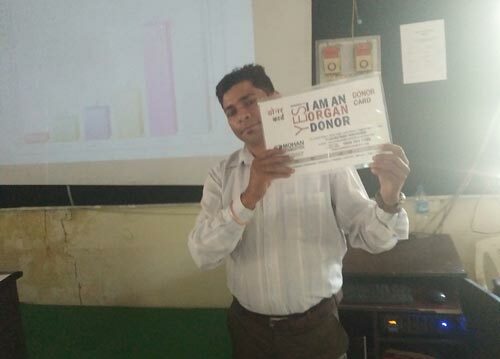 During the training, there was a deceased donor at Zydus Hospitals. The participants from the hospital were able to observe first-hand the protocols followed. 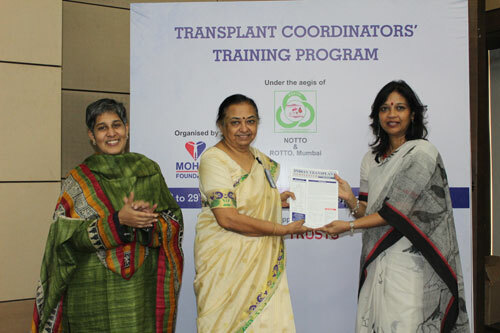 Dr. Vasanthi Ramesh, Director, NOTTO kick-started the training with a lecture on the role and activities of NOTTO and the National Organ Transplant Programme. 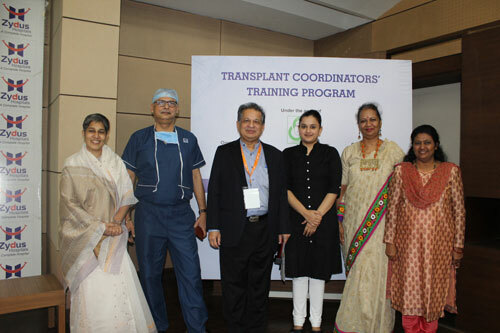 The MOHAN Foundation team took sessions on various topics ranging from concepts of organ donation and transplantation, the legal framework, history of transplantation, successful organ donation and transplant programmes in the world, grief counselling and approaching a family for organ donation, role and qualities of a transplant coordinator, public awareness, setting up a deceased donation programme in a hospital, organisations (state based and NGOs) working in the field of organ donation and transplantation, status of deceased donation in India, donor stories, body donation, and ethics in organ donation and transplantation. The team also kept the participants engaged with group activities, interactive sessions, role play and a number of films. 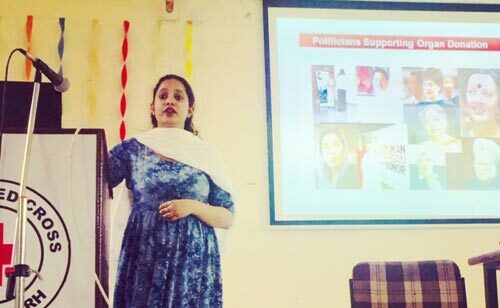 The experienced in-house and external faculty gave valuable inputs through their sessions. 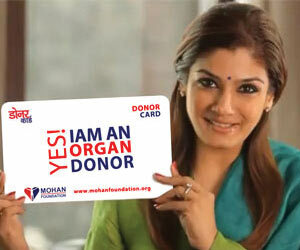 Dr. Biswarup Pal spoke about identification and tracking of a potential donor. He said that one actually becomes a custodian, in a manner of speaking, in such cases. Dr. Arvind Sharma took the key session on confirmation and certification of brainstem death. 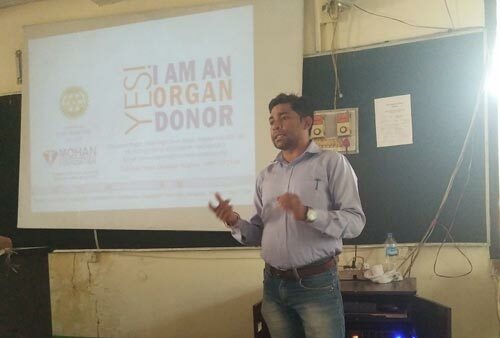 Mr. Nikhil Vyas, Senior Manager – Clinical Operations, CIMS Hospital, gave clear-cut details about living donation and transplant, authorisation committee and competent authority, medico-legal cases, organ retrieval, preservation and transport. He also shared his real-life experiences that the participants found extremely useful. Dr. Pravina P. Shah and Dr. Devang Patwari spoke about kidney diseases and renal replacement therapy. 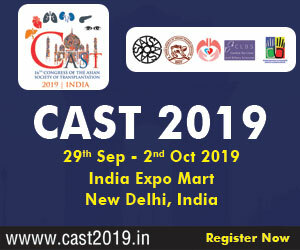 Dr. Prakash Darji elucidated the pre- and post-operative care of a patient receiving a kidney transplant, the contraindications and the approximate cost. The Cardiology and Cardiac Surgery team from Zydus Hospitals’ briefed the participants on the causes of heart failure, medical management, role of mechanical devices, and heart transplantation, and the Gastroenterology/Hepatology team took the participants through the basics of liver disease and liver failure. 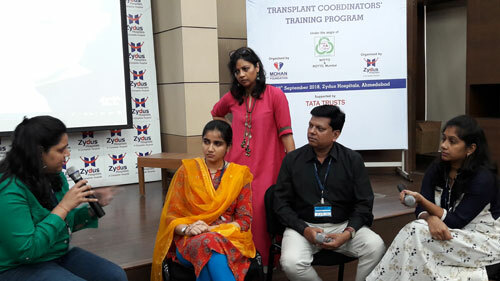 The Liver Transplant team comprising Dr. Vibha Varma and Dr. Sorabh Kapoor spoke about the different aspects of liver transplantation. On the final day, Mrs. Sujata Ashtekar, Consultant, ROTTO-SOTTO, KEM, Mumbai made a presentation on the role, activities, and future plans of ROTTO. She said that they hoped to work closely with the Government of Gujarat. At the valedictory function, Dr. Sajan Nair and Dr. Sunil Shroff congratulated the participants and presented the completion certificates to them. The training was anchored by the MOHAN Foundation team represented by Mrs. Lalitha Raghuram, Country Director, Dr. Sumana Navin, Course Director, and Ms. Pallavi Kumar, Executive Director, Delhi-NCR. Dr. Namrata Suryawanshi, Associate- Medical Services, Dept. 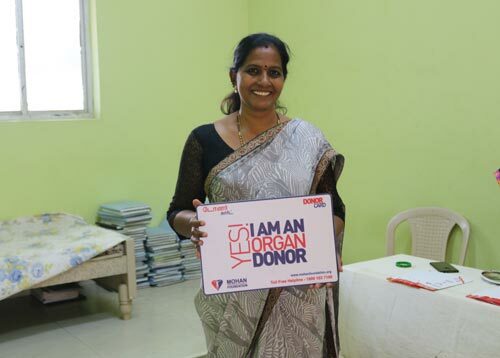 of HPB and Liver Transplants, Zydus Hospitals, provided all logistical support with inputs from Ms. Ann Alex, Programme Associate, MOHAN Foundation, Chennai.